Thank you to Nature Nate’s for providing the product used in this recipe! All opinions are my own. 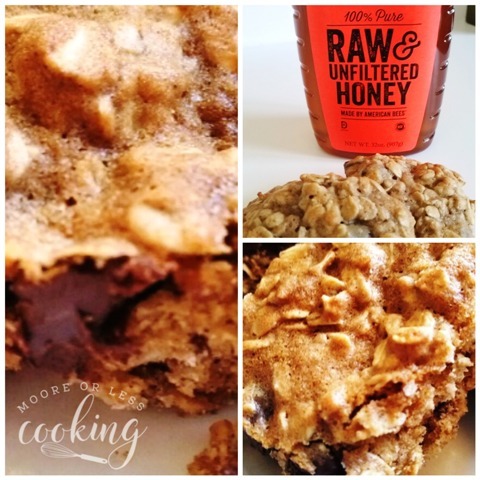 Chocolate Honey Oats Bars: Moist and chewy oatmeal bars lightly sweetened with honey and loaded with Chocolate Chips! This is the second week of Choctoberfest! Don’t miss the amazing GIVEAWAY!! These wonderful bars are made with Nature Nate’s Honey. It’s 100% Pure, Raw & Unfiltered Honey. Nature Nate partners with commercial beekeepers that transport their hives all over the country depending on the season. They follow the “honey flow” – when major nectar sources are in bloom and the weather is favorable for bees to fly and collect the nectar. For example, many of the Texas beekeepers will truck their hives to California for the winter, return them to Texas this spring, then go on to northern states later in the year; so that means the honey will have pollen from Texas as well as several other regions of the country. 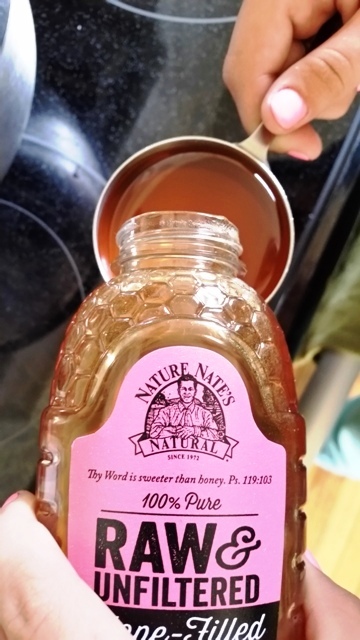 Nature Nate’s honey is raw, which means it is not cooked at high temperatures. It’s also unfiltered, meaning they strain only the undesirable bee parts and wax, leaving pollens intact. See how they handle their honey here. Spread out batter in pan. Bake for 35 minutes or until golden brown. 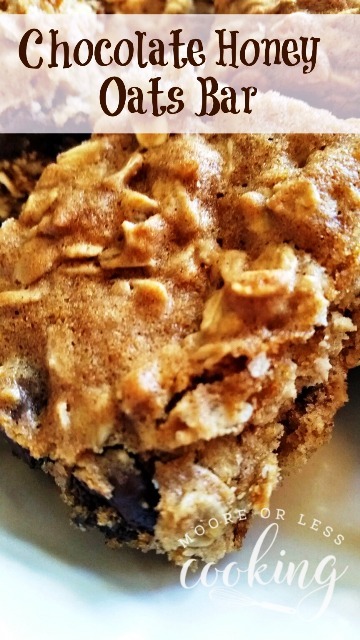 Moist and chewy oatmeal bars lightly sweetened with honey and loaded with Gooey Chocolate Chips! 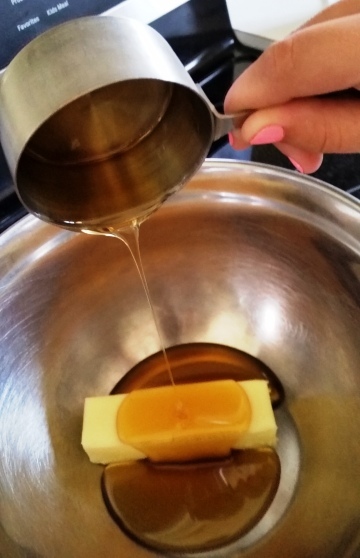 In a large bowl, beat butter, brown sugar and honey on medium speed with an until creamy. Add combined flour, baking soda, cinnamon and salt; mix well. Add oats and chocolate chips; mix well. Press dough onto bottom of ungreased 13 x 9-inch baking pan. Bake 30 to 35 minutes or until light golden brown. Cool completely in pan on wire rack. Cut into bars. Store tightly covered. Makes 24 bars. I love this homemade version of granola bars … they look SO much better than the store-bought kind. Oh Nettie – these look fabulous! Pinning and hope to enjoy soon. YUMMM!